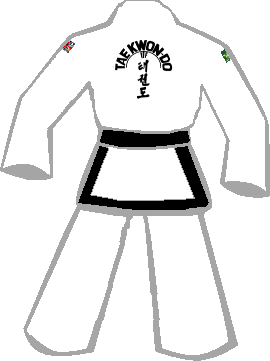 The club dobok follows the standard ITF pattern of a plain white dobok top and trousers, with black edging to the bottom of the shirt for dan grades. In addition to the ITF logo on the front left, the shirt carries the club logo on the front right, and the logos for Team Leicester and the UKGT on the right and left sleeves, respectively. 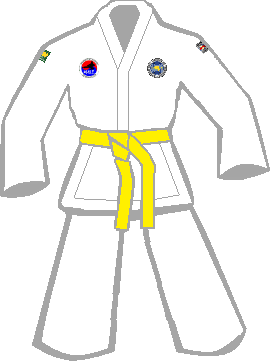 Prior to adopting the ITF style, the club doboks were of the more traditional type. They are recorded here for reference and posterity: ULTKD dobok archive.